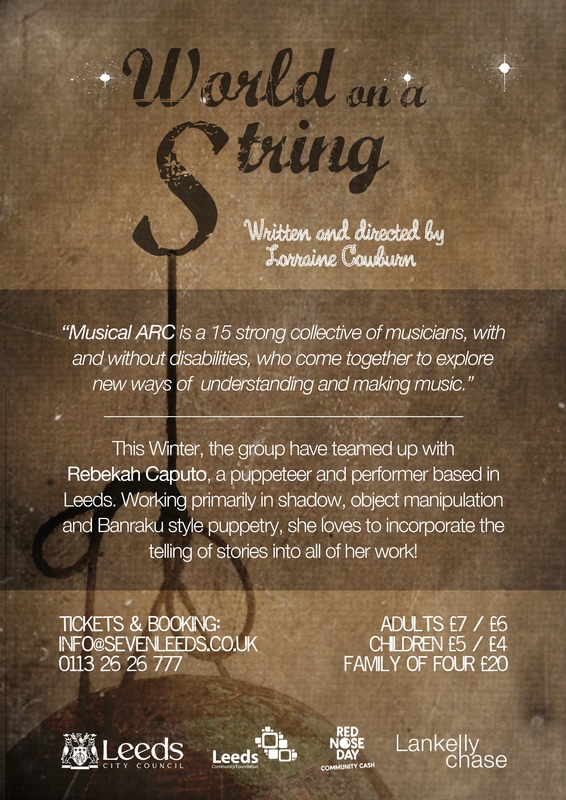 We are currently recording the music for our next show “World On A String” featuring Rebekah Caputo a Leeds based Puppeteer and shadow theater artist. The show combines 3 traditional tales from around the world. 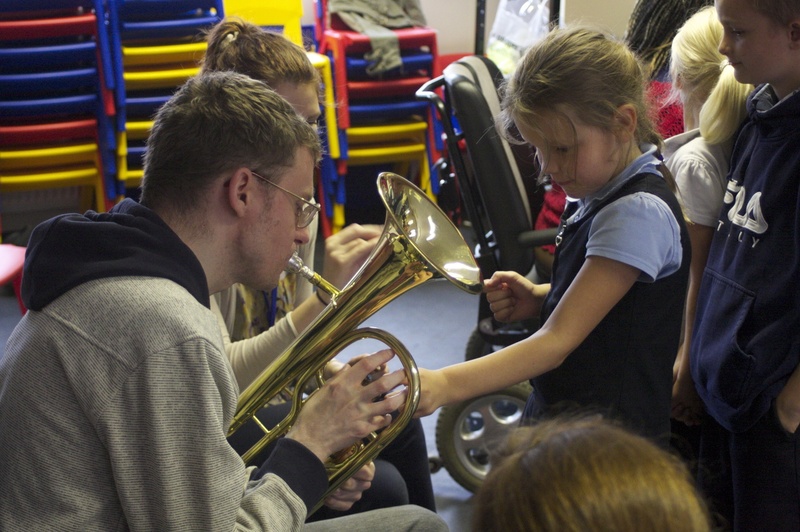 The stories are brought to life with narrative, music, and puppetry and the show promises to captivate young and old alike. As a first-Musical Arc are producing all the music to accompany the show in a recording project to be played within the performances. This is proving to be a great experience for all involved. The resulting CD will be on sale at our performances just in time for Christmas! Click on the flyers below for performance details. 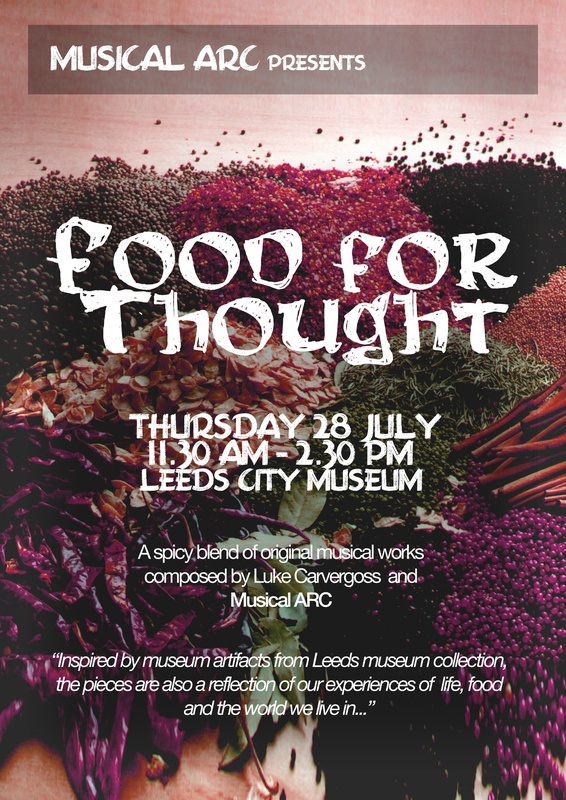 Our most recent performance “Food For Thought” was a collaboration between Musical Arc composer Luke Carver-Goss, Leeds Museum, Weetwood Primary and Leeds People’s choir. The Museum visited Musical Arc back in March 2011 with exhibits from the museum related to food. The pieces inspired the original compositions written by Luke and members of Arc. 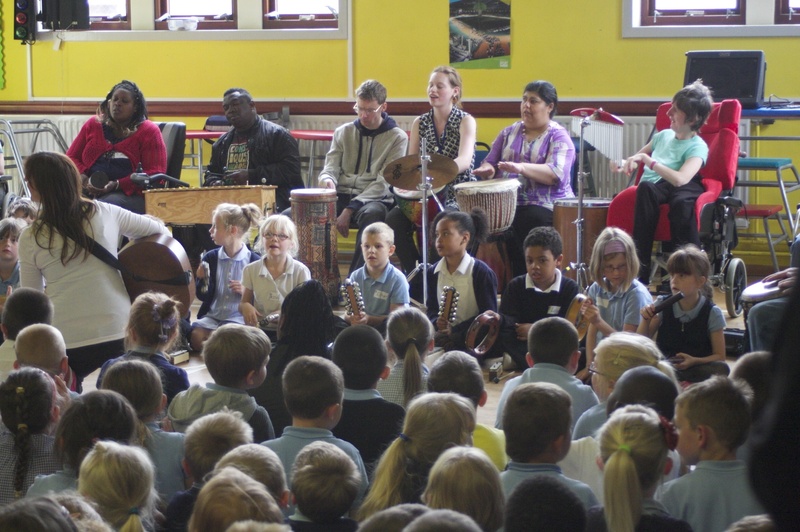 We visited Weetwood Primary in June and children from the choir joined us in the performance alongside members of Leeds People’s choir. 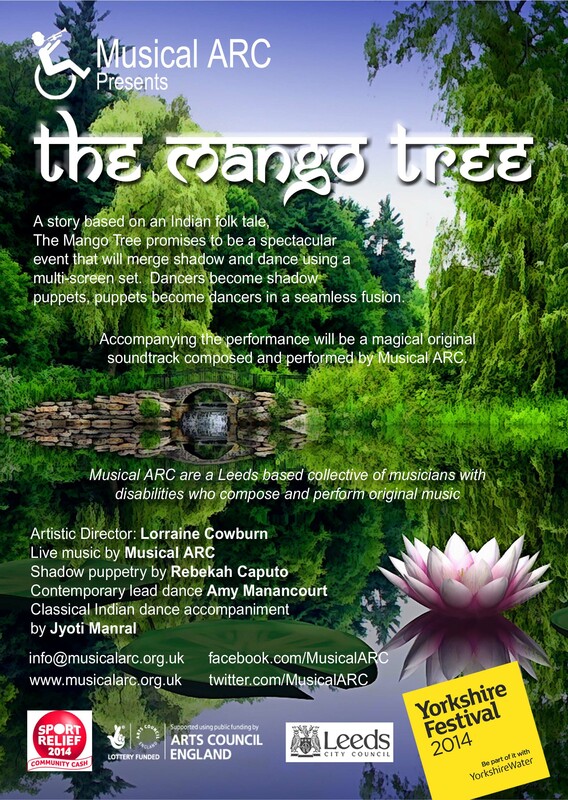 The performance took place on 28th July at the Leeds City Museum and was a huge success. We are now having a rest from performances to pursue our own artistic development. Jason Hird from “The Institute of Crazy dancing has been working with us and getting us into our bodies with some new moves. 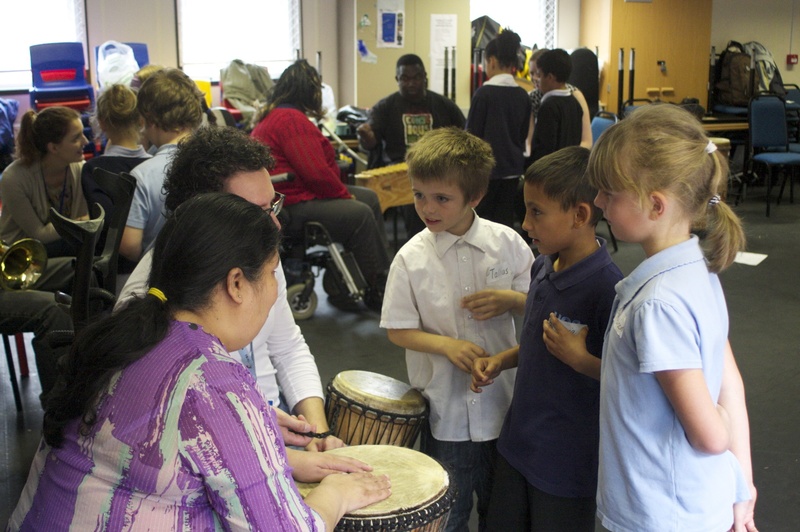 We have been working on various aspects of music from triads to improvisation and concentrating on keeping a groove altogether. 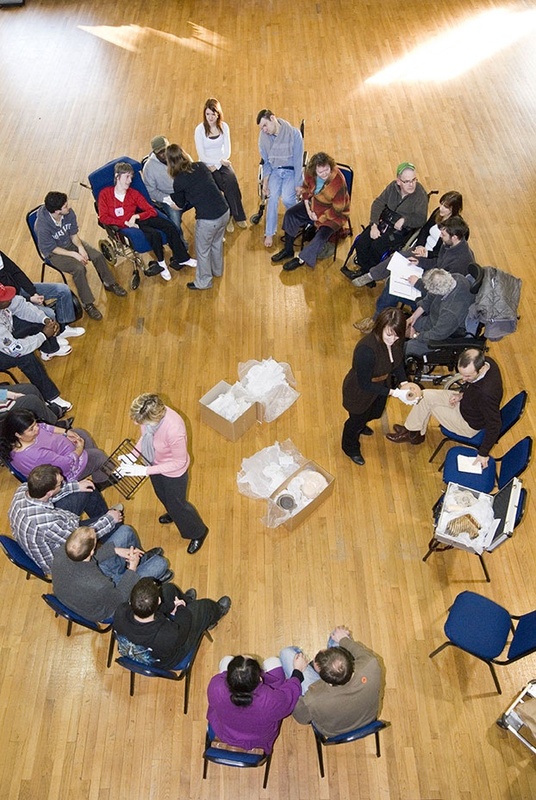 It’s a good time for us but soon it must come to an end and then we will be working on a new piece which, so far, is going to include a story teller with a hearing impairment who tells a brilliant tale in an exciting and visual way. Also Jason will hopefully be directing and performing in our new piece. rehearsals will start on April 20th and we hope to perform around late June early July…… We will keep you posted. 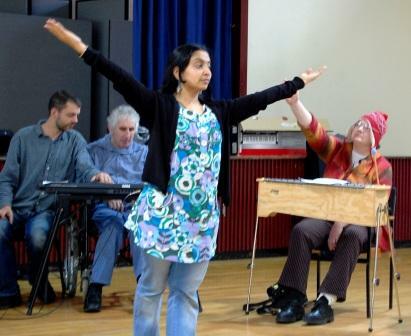 Devika Rao, dancer and visual arts performer, in rehearsals for The Story Retold with Musical Arc members. Tonight’s event will see the culmination of several weeks collaboration and rehearsals with Musical Arc members, Fused; and solo artist Devika Rao. 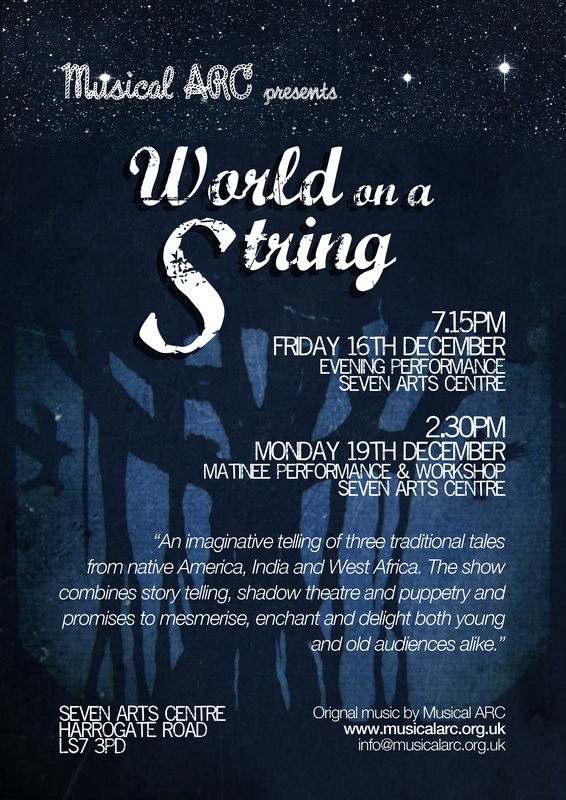 Its been a fine balancing act blending the different styles of all our performers, but, if this week’s rehearsals are anything to go by, The Story Retold promises to be a magical mix of improvised fusion and classical Indian folk. 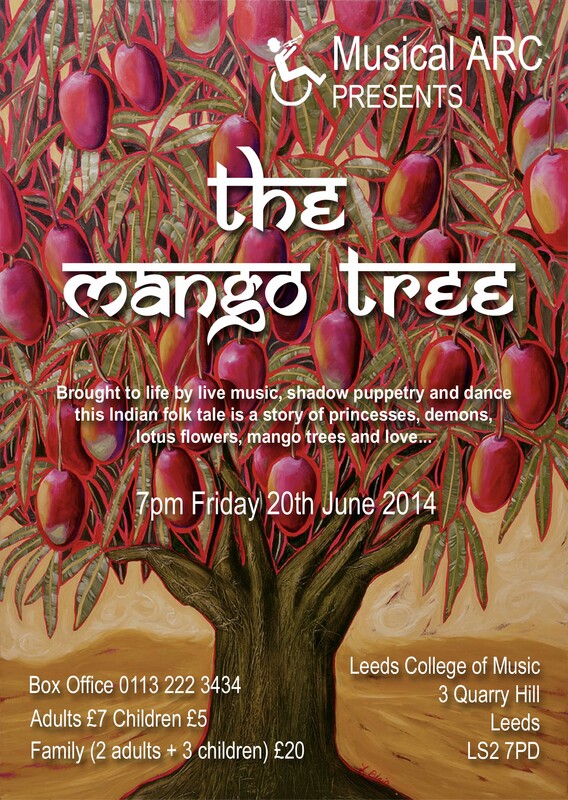 Catch us tonight at The Venue, Leeds College of Music, 3 Quarry Hill, Leeds, 7.30 – 9.00pm.